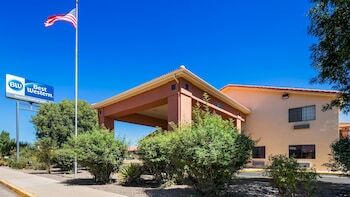 Located in Socorro, Best Western Socorro Hotel & Suites is a 2-minute drive from Sedillo Park and 6 minutes from New Mexico Tech Mineral Museum. Featured amenities include a business center, a 24-hour front desk, and a safe deposit box at the front desk. Event facilities at this hotel consist of conference space and meeting rooms. Free self parking is available onsite.